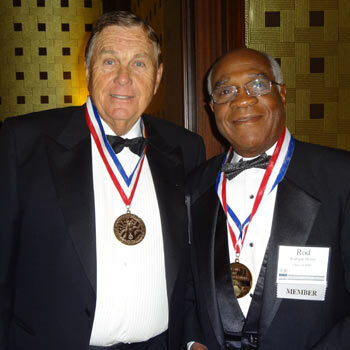 Following his induction into the Horatio Alger Association in 2011, Harry Patten met Dr. Rodrigue Mortel, a 1985 winner of the Horatio Alger Association Award, at an Association meeting in Monaco. Mr. Patten immediately became fascinated with the work Dr. Mortel was doing in Haiti to educate some of that nations' poorest children. 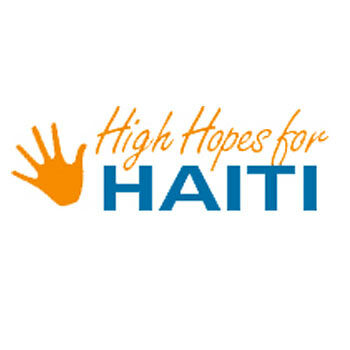 Dr. Mortel's High Hopes for Haiti is sponsored by The Mortel Family Charitable Foundation, founded in 1997 to serve the economically, socially, and intellectually deprived children and adults of Haiti through the establishment, operation and maintenance of a variety of educational programs. In 2012, Harry and his family personally visited the Bons Samaritains School that The Mortel Family Charitable Foundation operates in Haiti. They were so moved by what they saw and experienced, that along with a friend and fellow member of the Horatio Alger Association, they sponsored the entire cost for 150 students to attend school for one year. Harry's daughter Hannah also wrote about her visit to Haiti and her story is included in Dr. Mortel's book, When I was in Haiti: Stories of Hope from Travelers. This lovely book tells the stories of volunteers and donors who have traveled to Haiti to bear witness to the love, faith and hope that blossoms there as a result of these schools. In the 1930s, Rodrigue Mortel was born into abject poverty, living in a small rented house of wattle and daub, lacking even the minimal necessities of water and electricity. When they were evicted from this meanest of dwellings because his parents could not pay the monthly rent of $4, young Rodrigue vowed such an indignity would never again be permitted against his family. “This would not have happened if I had been educated,” his mother acknowledged. The words his mother spoke were permanently etched in his heart as he silently pledged that he would finish his education and someday build a house for his mother. He could not have known that he was destined to accomplish much more for his country. Rodrigue dedicated himself to moving his way through Haiti’s highly competitive public education program. He understood that a superior education would arm him with the tools he needed to make a better life for himself and his family. He entered the United States in 1963 to receive special training in obstetrics and gynecology at Hahnemann Medical College in Philadelphia. He continued his sub-specialization in oncology at the Memorial Sloan Kettering Cancer Center in New York. In 1972, Dr. Mortel joined the Penn State University College of Medicine and by 1977, he was full Professor in the Department of Obstetrics and Gynecology. Six years later he became the first black foreign educated physician to chair one of the 126 United States medical schools department of obstetrics and gynecology. He maintained that position for nearly 13 years. In 1995 he was bestowed the title of Associate Dean and Director of Penn State University Cancer Center. Now retired from the medical field, Dr. Rodrigue Mortel is a permanent deacon involved with numerous organizations and he continues his inspirational work in Haiti.